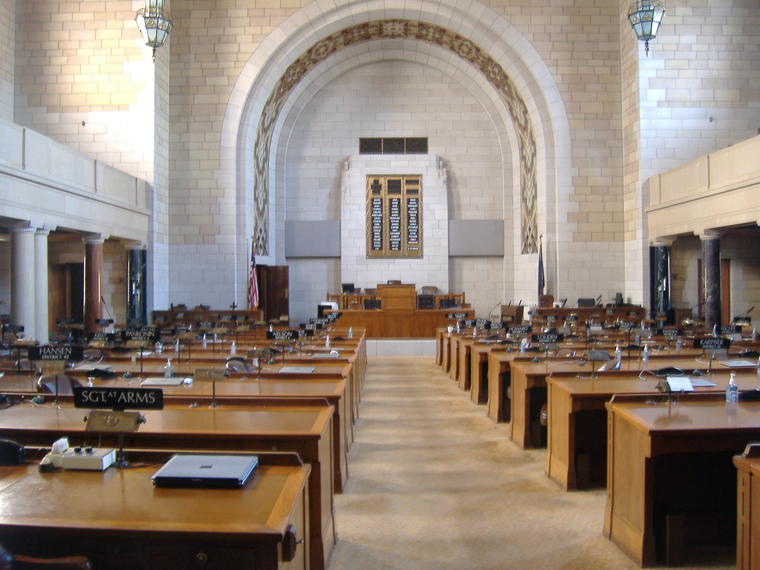 Here is a rundown of legislative bills currently in the Nebraska Legislature of interest to active and public transportation advocates. Please contact your state senator and the appropriate committee members designated below NOW to express your support or opposition. Description: Introduced by Senator Nordquist, LB191 would provide an investment tax credit equal to 20% of approved costs associated with a qualified rehab of a historic property. The state historic tax credit could be used in combination with the federal historic tax credit allowing 40% to be credited back on your taxes for a qualified rehab. Analysis: Encouraging infill development is vital for improving multimodal transportation in the Omaha area and elsewhere in the state. The Nebraska State Historic Tax Credit would create incentives for redevelopment in historic downtowns, main streets, and residential neighborhoods. Recommendation: SUPPORT. Please write to the Revenue committee chairperson, Galen Hadley, and your state senator expressing your support for this bill. For additional talking points, see the Facebook group supporting this bill. Description: LB 756, introduced by Senator Smith of Omaha, would update Nebraska statutes by specifically defining electric assist bicycles as “… a device with two or three wheels, fully operative pedals for propulsion by human power, and an electric motor with a capacity not exceeding seven hundred fifty watts which produces no more than one brake horsepower and is capable of propelling the bicycle at a maximum design speed of no more than twenty miles per hour on level ground. Analysis: Electric assist bicycles have been gaining in popularity and accessibility in recent years, however, there are still many questions for some about where a bicycle ends and a moped begins. This bill would clearly delineate the differences between the two, and provide clarity to decision makers that make rules and regulations on multi-use trails. Electric assist bicycles, as defined in this law, can provide additional transportation choices to people by making bicycling more accessible to a wider range of people. Recommendation: SUPPORT. Please write to the Transportation and Telecommunications committee chairperson, Annette Dubas, and your state senator expressing your support for this bill. Description: LB807 would revise the current law regarding texting and driving, changing it from a secondary offense (meaning, applicable only if a motorist was stopped for breaking an additional law) to a primary offense (meaning, a motorist can be stopped for it on its own). Analysis: LB 807, introduced by Senator Harms, is consistent with other states that have laws that prohibit texting while operating a motor vehicle. Currently, 37 states ban texting and driving as a primary offense, while 4 states (currently including NE) have it classified as a secondary offense. Distracted driving is a major safety concern for all transportation users, especially the most vulnerable users on bicycle and on foot. Description: Introduced by Senator Dubas, LB891 would appropriate funds to pay the back dues dating from 2010 and current dues for the state of Nebraska to continue its membership in the MIPRC (Midwest Interstate Passenger Rail Commission). Analysis: The MIPRC brings member states’ leaders together to promote, coordinate and support regional improvements to passenger rail service. Because we lack a comprehensive and coordinated state department of transportation, Nebraska’s involvement in MIPRC provides its main link and source of information on the major federal and regional passenger rail initiatives and programs now underway and possibly missed opportunities for significant economic development in the state. Funding the state’s annual MIPRC dues sends a clear message that the Nebraska Legislature supports the value of improved and increased passenger rail service in Nebraska. Recommendation: SUPPORT. Please write to the Appropriations committee chairperson, Heath Mello, and your state senator expressing your support for this bill. The hearing for this bill is scheduled for February 13, 2014. Description: LB1071 introduced by Senator Lathrop of Omaha, would instruct the Nebraska Department of Roads to create minimum safety design criteria for bicycle facilities, create uniform standards for signage and signals related to bikeways and roadways. The bill would also require people on bicycles to yield to and provide an audible signal to pedestrians when passing, give municipalities the authority to prohibit bicycles on sidewalks in business districts, and specifies that people operating bicycles lawfully are entitled to the same rights and duties as pedestrians in similar circumstances. Description: LB1092, introduced by Senator Dubas, would authorize the state to use bond financing for up to $400 million worth of highway projects that would otherwise be funded in a “pay as you go” fashion. Funding for road projects was increased in 2011 with the Build Nebraska Act (LB 84), which earmarked one-fourth of a cent of state sales taxes for highway construction projects. Analysis: 48 other states (all but Wyoming and Nebraska) currently use bond financing for road projects. Proponents of LB1092 say allowing bond financing will give Nebraska the opportunity to take advantage of low interest rates currently available and get projects moving faster. The traditional methods used to pay for roads and improvements, the gasoline tax and licensing fees, are inadequate and creative and dedicated funding streams are needed. Opponents are concerned about the long term costs. In addition, funding must not be limited to projects that only accommodate one mode of transportation. Specific language in transportation funding bills such as this should include references to multi-modal projects so that eligibility for funding is not left open to interpretation. See the Omaha World Herald article published on February 11, 2014 for further analysis. Recommendation: OPPOSE unless parity in funding is available for multi-modal transportation. Please write to the Transportation and Telecommunications committee chairperson, Annette Dubas, and your state senator expressing your opposition to the bill unless funding explicitly includes multi-modal transportation. Say that we should be planning for and implementing a more sustainable transportation system that better serves Nebraskans; a system that reduces long-term costs and supports bicycling, walking and public transit.